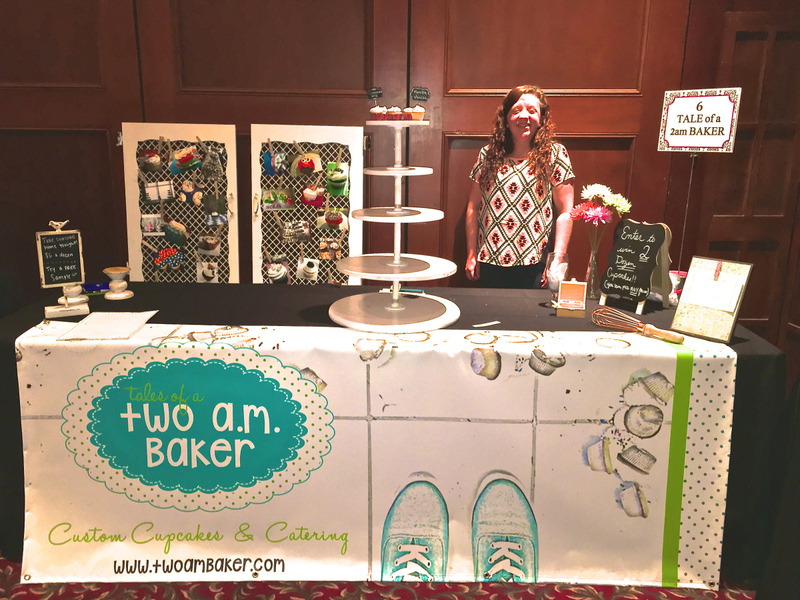 I thought it would be fun if I took a moment each month to let you know what things are currently striking my fancy, so here goes the May installment! 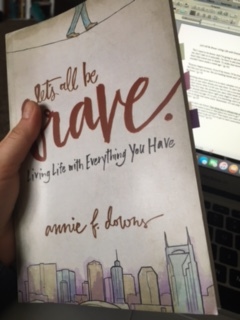 Book: Let Us All Be Brave by Annie F. Downs. I read my sister’s copy of this book, and I quickly filled it with little adhesive flags to mark all the lines that struck my heart particularly deep. I love the idea of pursuing bravery, despite the risk, or maybe because of the risk. I found the author to be really relatable, funny, and motivating. The book left me processing how to be brave in my own life, and I encourage you all to pick up a copy and be brave, too! Song: Just Breathe by Jonny Diaz. Verse: “So don’t you see that we don’t owe this old do-it-yourself life one red cent. There’s nothing in it for us, nothing at all. The best thing to do is give it a decent burial and get on with your new life. God’s Spirit beckons. There are things to do and places to go! This resurrection life you received from God is not a timid, grave-tending life. It’s adventurously expectant, greeting God with a childlike ‘what’s next, Papa? '” -Romans 8:12-15 (MSG). I’ve been reading passages in the NLT (my favorite everyday translation) and the Message lately to meditate on them and let their meanings really sink in. I really enjoyed the Message’s take on this section of Romans. We’re called to leave the customs of this world behind and strive for a better, a higher, way of living, one that is adventurous and expectant and, dare I say, wonderful. Food: This month, I’ve been doing my own Project 7 challenge with food, so I’ve been using only sweet potatoes, kale, broccoli, chickpeas, oats, bananas, and apples for my meals. I’ve made some pretty tasty things with them like banana oat pancakes, banana “nice cream” sandwiches, sweet potato crust pizza with hummus and roasted veggies, and banana granola. Now it’s your turn. What are some of your favorite things? I’d love to hear them! This month my book of choice was “Offendable” by Brant Hansen. Obviously my song of choice – much to my surprise – has been the recording of “Good Good Father” by housefires. Regarding food…yes I eat 😉. Specifically I have been devouring raspberry swirl loaves from Starbucks while it is I season. I just read the summary for Unoffendable on Goodreads, and immediately added it to my “want to read” list– it sounds really good! So thanks, Phil, for adding to my never-ending list of books to read. : ) And thanks for sharing your favorites!